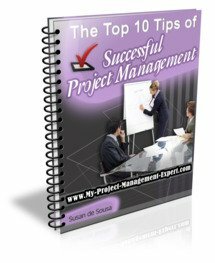 A key skill project manager's must have, is the ability to manage people; specifically in managing project teams. Depending on the size of the project, this can involve anything from two resources in one team, to 1,000 people based in 100 teams all over the world. The good news is that at a high level at least, there are distinct similarities in being able effectively manage project teams. Everyone on the project needs to be aware what the project milestones are and when they need to be delivered. Most importantly, everyone needs to be clear about what is required from them in achieving these milestones and the impact of non-delivery on the project. Lastly and perhaps most obviously, when managing project teams you must ensure that everyone, including project sponsors are clear about when the project is launching and exactly what is being delivered. This might seem obvious to you, and of course should be clearly stated in the project initiation document or project charter documents. However, in the real world, shock horror, not all project sponsors bother to read these documents, or if they do, manage to misunderstand them particularly if they are not technology literate. At least once a week you will need to have a team meeting which will be attended only by the team leads. Of course this depends on the size of the team you are dealing with. If there are only 5 people on your project then they should all attend the weekly team meeting. If it's 50, then just the team leads. The reason for doing this is that it will enable you to communicate the high level progress of the project effectively, which will then be cascaded down to lower level resources by their team leads. Each team should provide a weekly report detailing their progress against their deilverables as detailed in the project plan, as well as any project risks, issues and basic problems they are encountering. Their reports will also have a stream status on it which highlights where they are at. You will then collate all the information from the project teams into your weekly project management report which communicates project progress upwards. There will some team leads on your project who are entrusted with a much more important role than others. So for example, your development team lead who is delivering 65% of the functionality required and also leads the largest amount of resources, is going to be infinitely more vital to the project than someone who's team is delivering 1 tiny project management requirements. Therefore, with these key individuals, who let's be honest the success of you project rests upon, it makes sense to keep a closer tab on them. I do this by holding a weekly 1 to 1 meeting with them when I go through their weekly status report to gain a better understanding of the progress achieved that week and the issues faced. Don't forget to implement all 4 points listed here, as remember successful project management is all about soft skills such as creating successful project teams. But don't forget that this means keeping close tabs on your team without micromanaging them. After all how would you feel if you were asked to account for every minute of each working day you booked to the project. And I have seen project manager's actually do this to the detriment of their project team and delivery. So don't fall into the same trap.